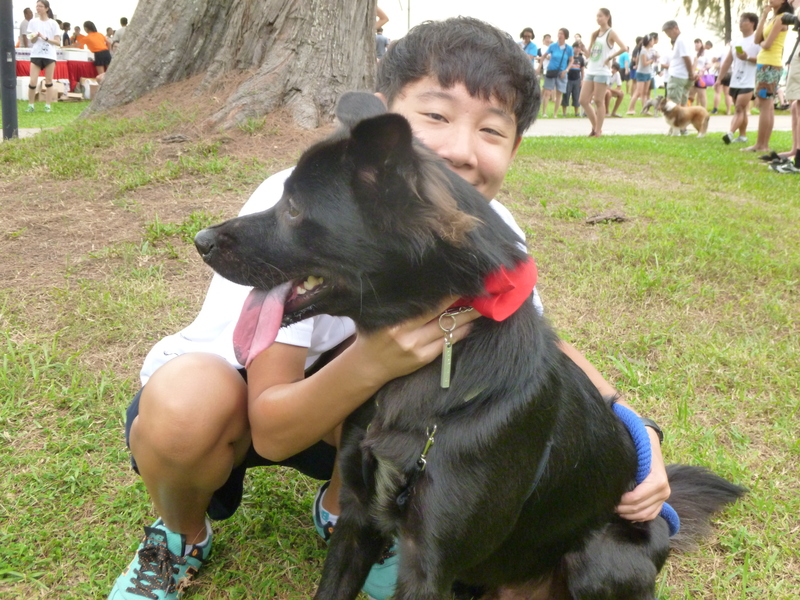 On Sunday afternoon, East Coast Park went to the dogs–big and small, long- and short-haired, purebreds and strays alike. 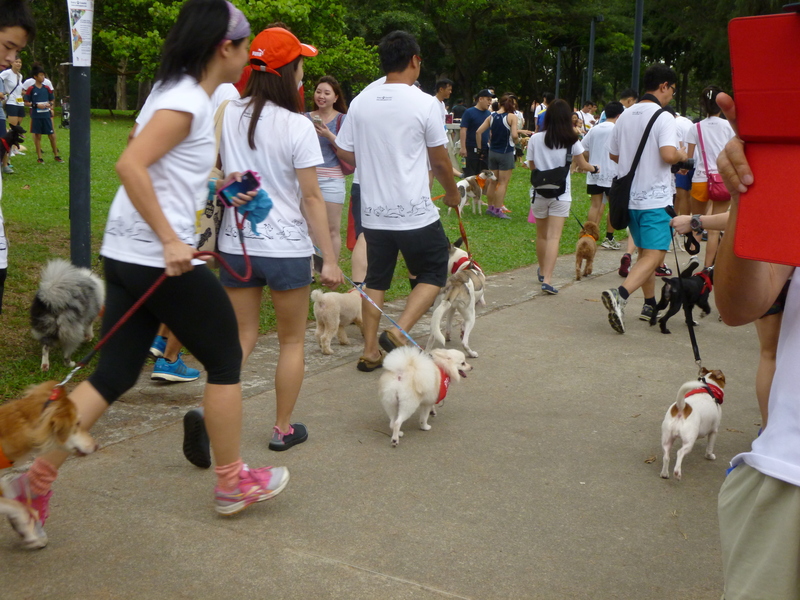 They, as well as their owners and dog lovers hailing from all walks of life, came together for the fourth Singapore Specials Dog Run. 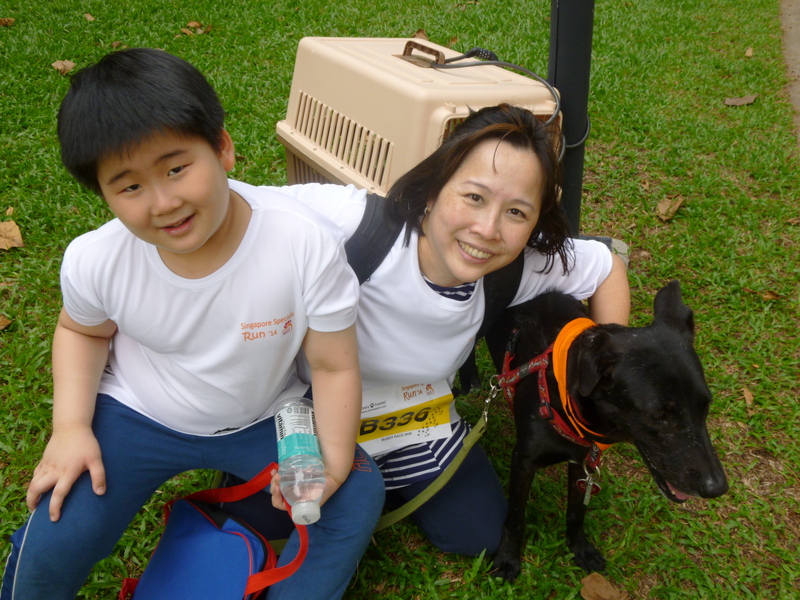 Organised this year by Action for Singapore Dogs (ASD), the run was held in commemoration of the stray dogs of Singapore–affectionately referred to by some as ‘Singapore Specials’–and the struggle they go through to eke out an existence on the streets. 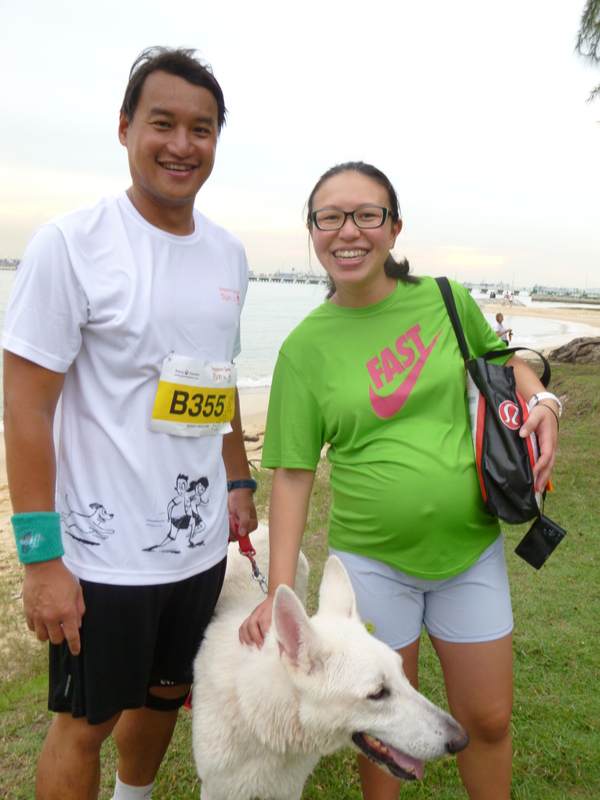 Their efforts certainly paid off, for they managed to break the Singapore Book of Records for the Largest Dog Run and raise $20,000 for their cause. The seething mass of two-legged and four-legged ones who had gathered for the race was visible from far off as we approached the start line. 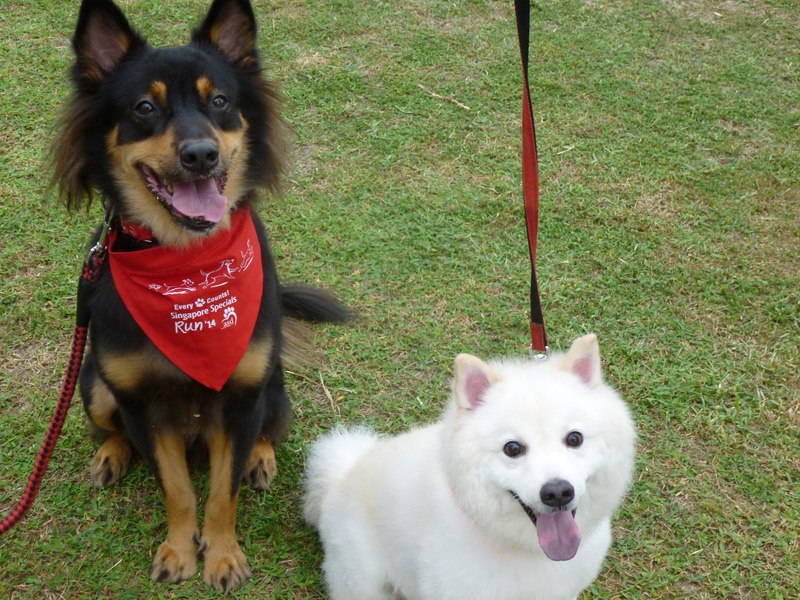 There was a festive mood in the air as dogs exchanged greetings in sniffs and licks, owners swapped banter about the nitty-gritty of dog-raising, and announcements blared from the booths to the side of the track. Shortly after we arrived, it was time for the first Buddy Race. As soon as the signal to go was fired the grey track was overwhelmed by a colourful surge of paws and running shoes. Tiny Chihuahuas trotted gamely to catch up to the wide strides of their Golden Retriever cousins, while some of the stockier runners who couldn’t keep up completed the run in their owners’ arms. Whichever group they belonged to, however, the returning runners were greeted with applause. The loudest of cheers of all were reserved for one little Treasure–a dog with a severed spine who, with the assistance of human attendants, managed to propel himself on his forelegs back to the finish. The camaraderie of the community was palpable in the many owners I spoke to, all who had contributed to making this run a celebration of the spirit of dogs and their people from all over the island. 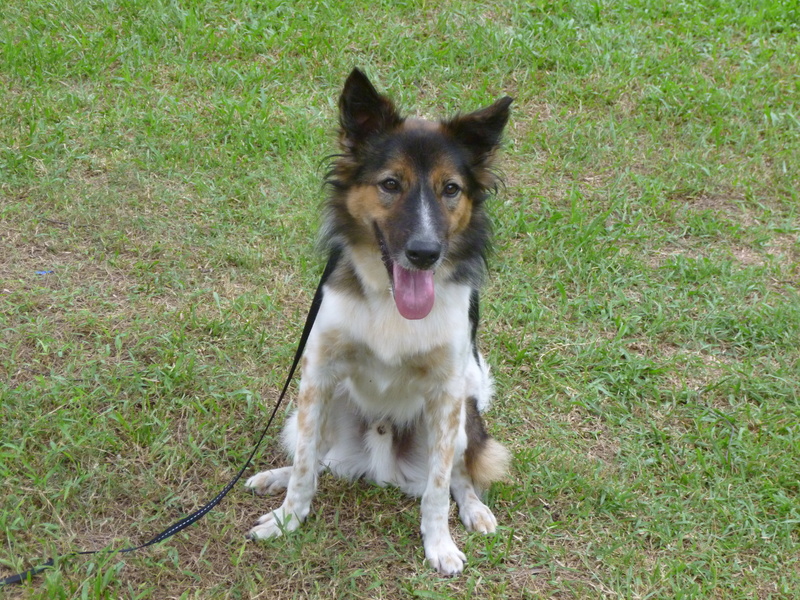 Angeline: “We adopted Happy from SOSD–Save our Street Dogs. He’s a very shy dog so we think he might have been abused before. He’s 3 years old, but you can see he already has a few grey hairs. The scar on his ear is from fights with more dominant dogs. I adopted him because I think it’s good to be supporting a good cause, and not puppy mills. Actually it’s the mongrels that can be more well-trained than the purebreds; the purebreds are the ones that make the most noise. As a child I owned all sorts of dogs, both purebred and mixed-breed; I used to have a Poodle and a Doberman. Mr Tang: “You noticed the dog? So did you notice me too? You didn’t! ?… Uh no okay it’s fine. I asked if they were a couple. Thank you for sharing these stories and pictures. It is certainly nice to see those happy rescued street dogs (and the non-rescues too). Thank you, Ms. Mojilee. 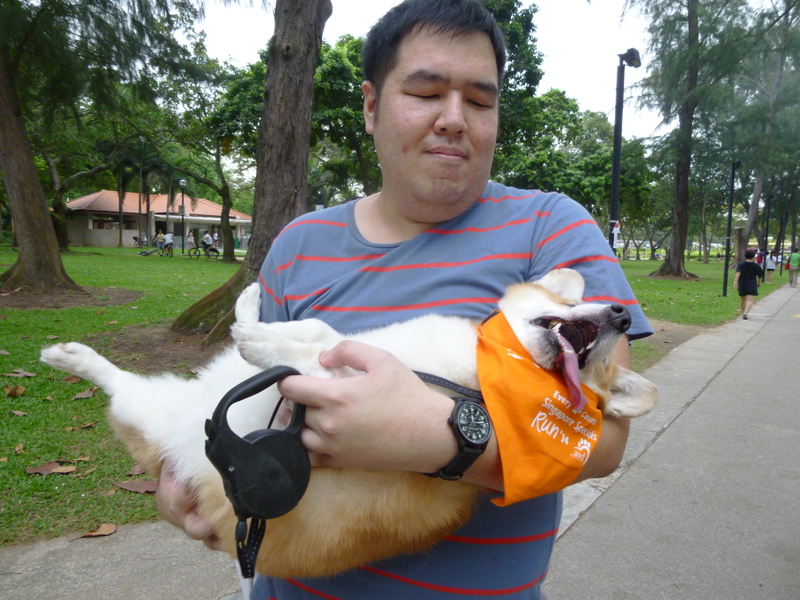 By the way, I think the link to Action for Singapore Dogs is not working.